The leaves are changing colors. They inspire so many fun fall crafts. 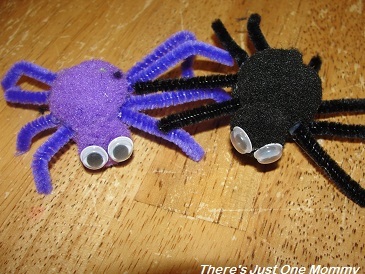 Fall is also the perfect time for kids crafts that involve creepy crawly spiders. This simple paper plate spider web craft, and adorable pom-pom spider craft make fun crafts for preschoolers and older kids, too. When it comes to spiders, I’m not a huge fan. But there is just something about these critters that gets little ones excited. That’s probably why spider and web crafts are always popular this time of year. 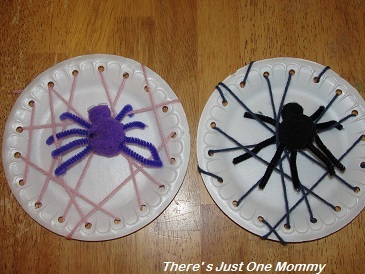 To make your own paper plate spider web you will need a hole punch, paper plates, and yarn. We used cake-sized plates, about 6 inches wide, but you can use full-sized paper plates, too. Using a hole punch, make a hole every inch or so all the way around the edge of the plates. Then tape a length of yarn to the plate’s underside (2 feet is plenty for a small, 6 inch plate). The tape will help keep the yarn in place as your child works. 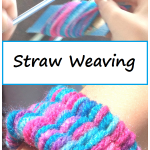 Have your child thread the yarn through the holes to create their spider webs. Once they finish, you can tie off the yarn or just tape the other end down on the back of the plate. If you thread the yarn down a hole on the opposite side of the plate, and then up in the hole right next to the one they went down, it will have a nice criss-crossed pattern like a spider web. Or you can just go up and down at will, which is what my little ones did… It still turns out very web like! 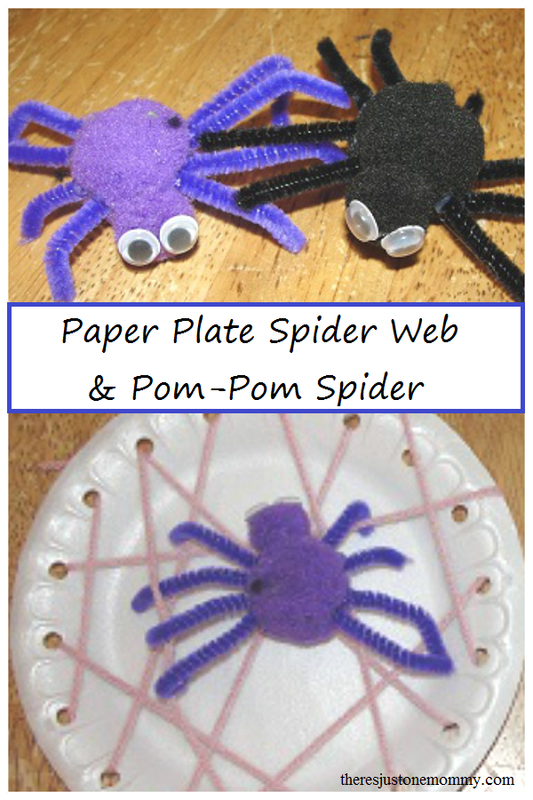 These cute pom-pom spiders are the perfect addition to the paper plate web. Cut the pipe-cleaner into 8 pieces. You can make sure they are equal size, or you can just let your child cut them as he/she sees fit. Bend the pipe-cleaners a bit to form legs and hot glue 4 on each side of the larger pom-pom. Finally, glue on wiggly eyes. You can use your little critter to act out favorite spider songs. My toddler had fun singing “The Itsy-Bitsy Spider” as he walked his new friend all over his spider web. Or, bend the pipe cleaners a bit to get your spider to cling to the paper plate web. They look cute hanging up. Whether you’re looking for a cute preschooler Halloween craft, or just a spider craft to go with a favorite nursery rhyme or picture book, this paper plate spider web and pom-pom spider craft is sure to be a hit. 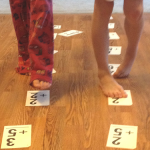 Subtraction Squish — This simple activity helps young children better understand subtraction. 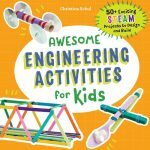 Get kids activities and crafts like this one delivered right to your email twice a month. Post originally published October 16, 2012. Oh, I love that – a glow in the dark frisbee! That would be so cool! Oh man, the little boy I nanny would love this craft! Hope you guys have fun making them! Oohh. These are creepy. Way cute! Reagan loves Itsy Bitsy Spider … great craft idea. 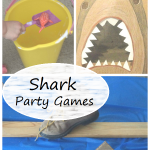 This looks like so much fun and reinforces many skills. Thanks for sharing. Oh, we will have to try these. We have been very into spiders after reading Charlotte’s Web. Thank you for sharing at Sharing Saturday! My sister was just telling me that they were doing Charlotte’s web at her house lately, too! Must be the seaon! What a great idea – and we need more threading practise.